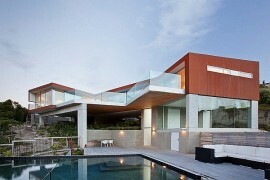 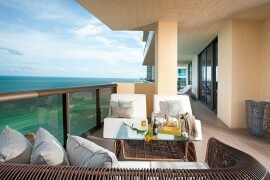 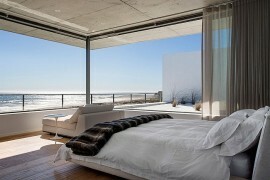 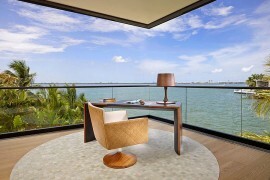 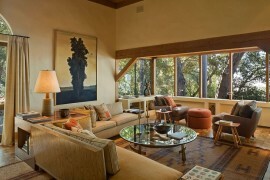 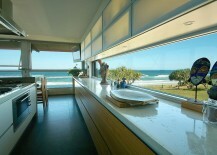 We often talk about living rooms, bedrooms and even spa-inspired modern bathrooms with stunning ocean views. 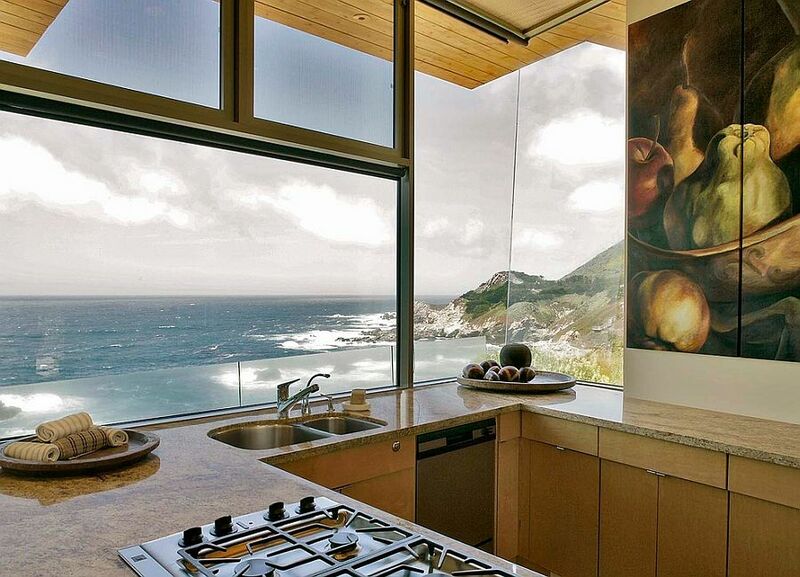 But why should those working in the kitchen be deprived of a captivating view that keeps them enthralled as they serve up tasty delights? 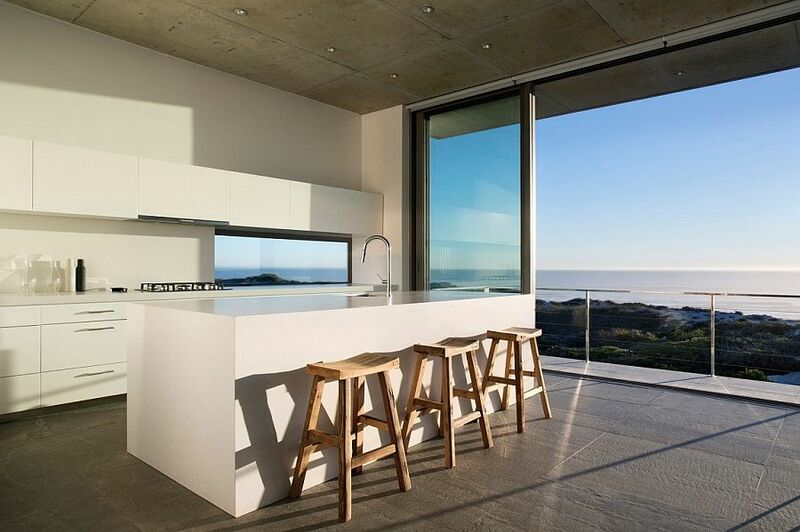 With the modern kitchen quickly becoming the ‘social hub’ where friends and family interact after a long, hard day, it makes perfect sense to give your kitchen the best possible view. 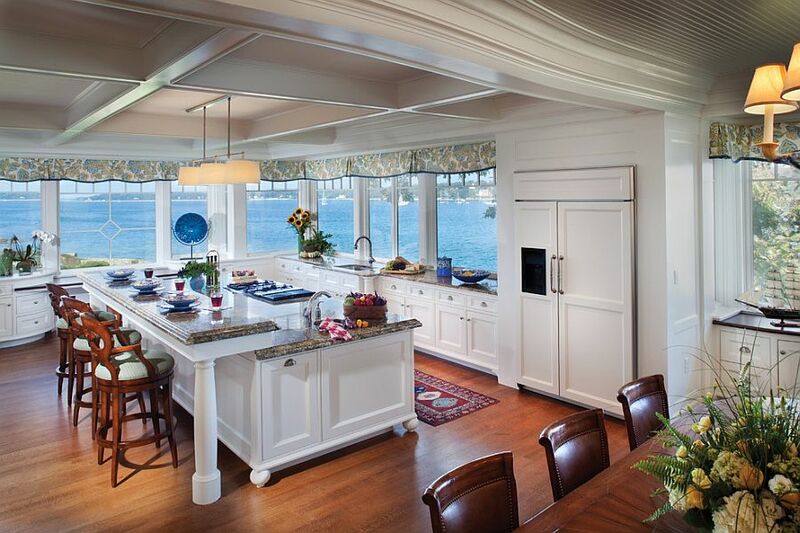 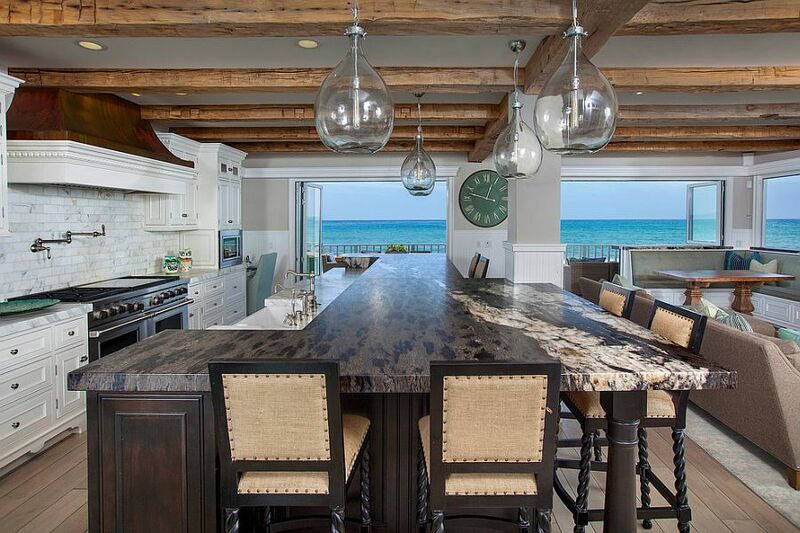 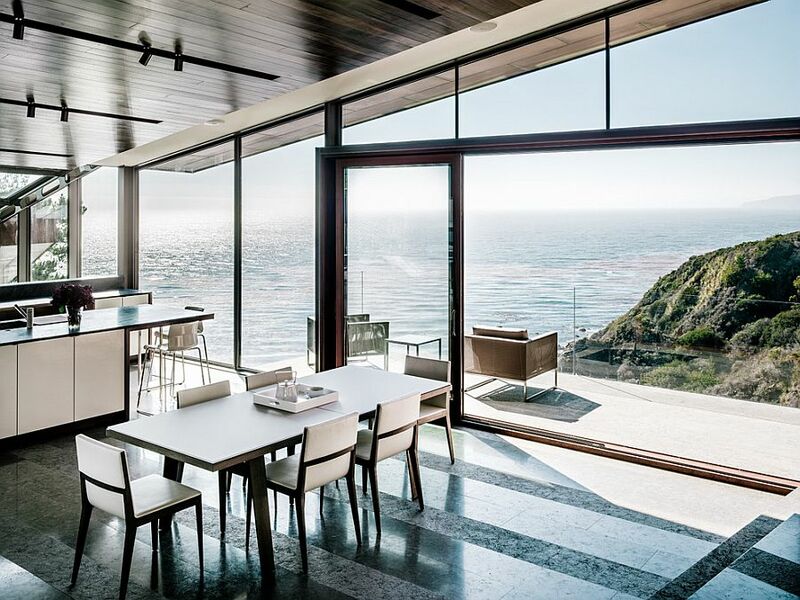 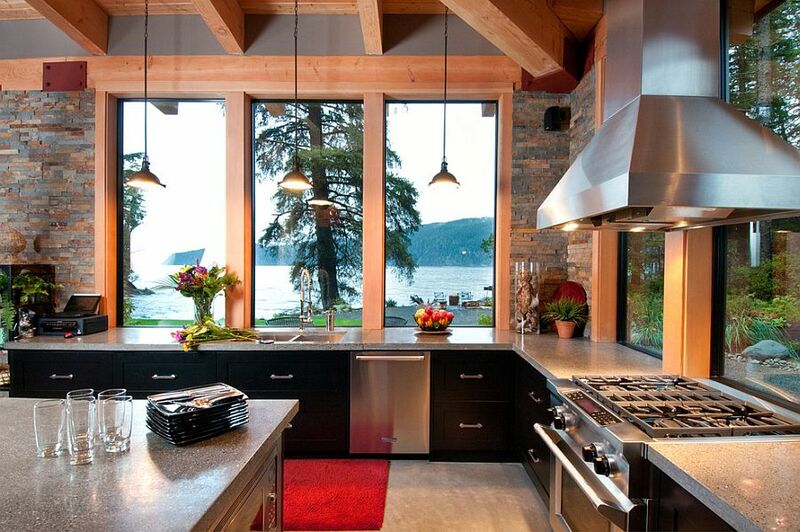 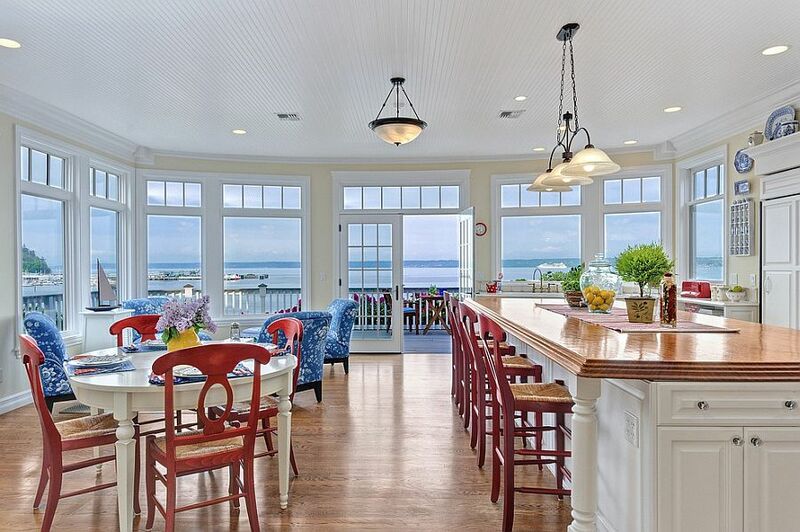 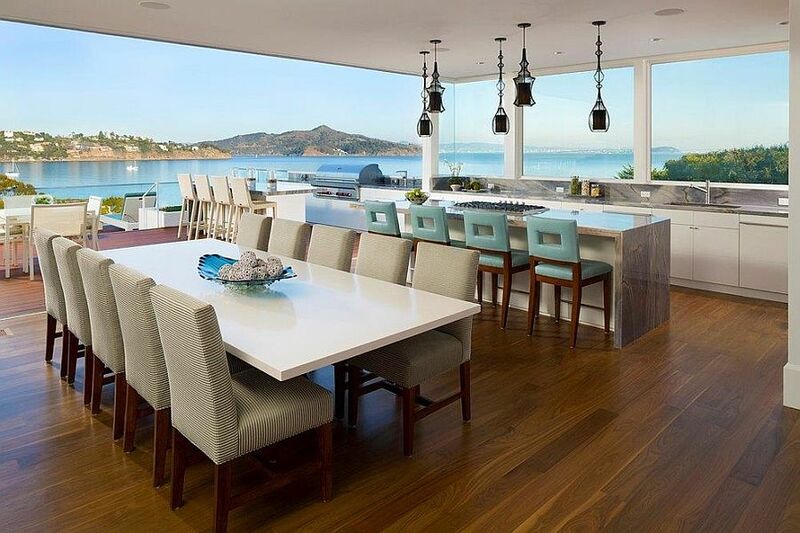 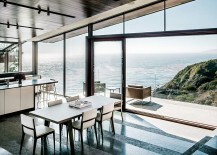 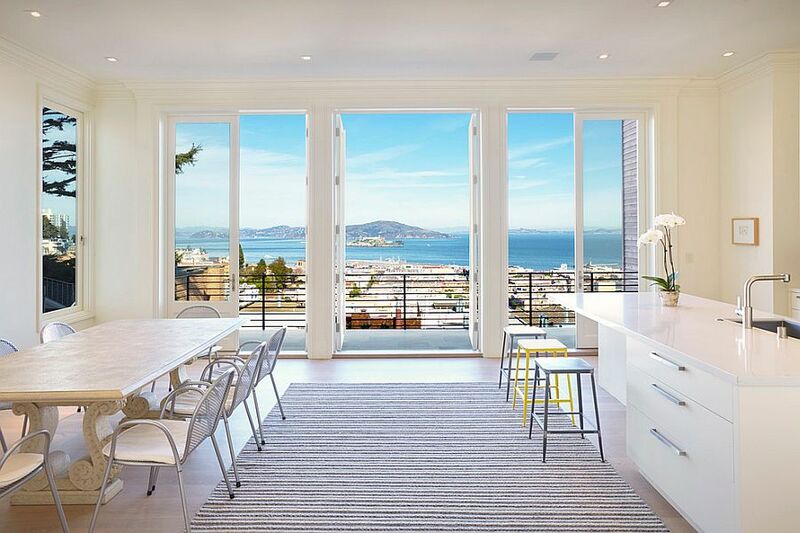 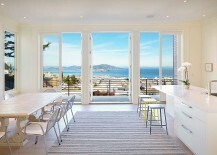 And today we take a look at 20 mesmerizing kitchens with an ocean view that leaves you spellbound! 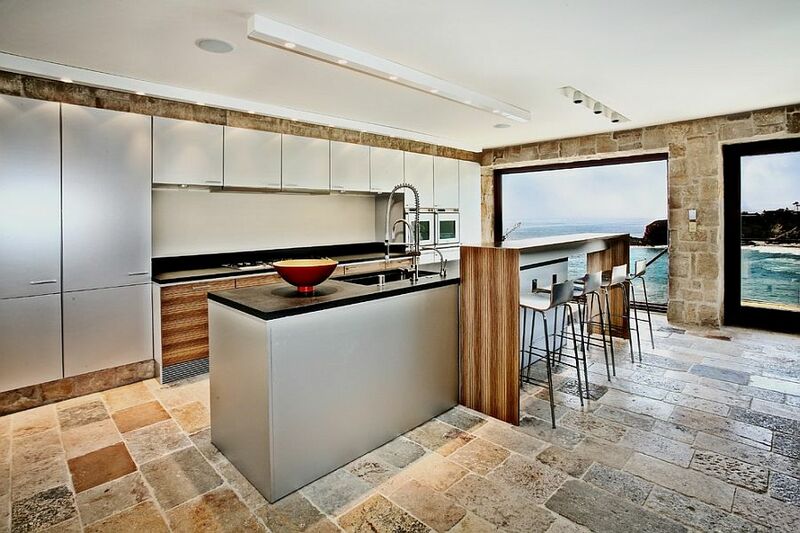 As we alluded to earlier, the modern kitchen is much more than a place to just cook and is increasingly becoming a part of the larger living space visual that blurs the line between each particular area. 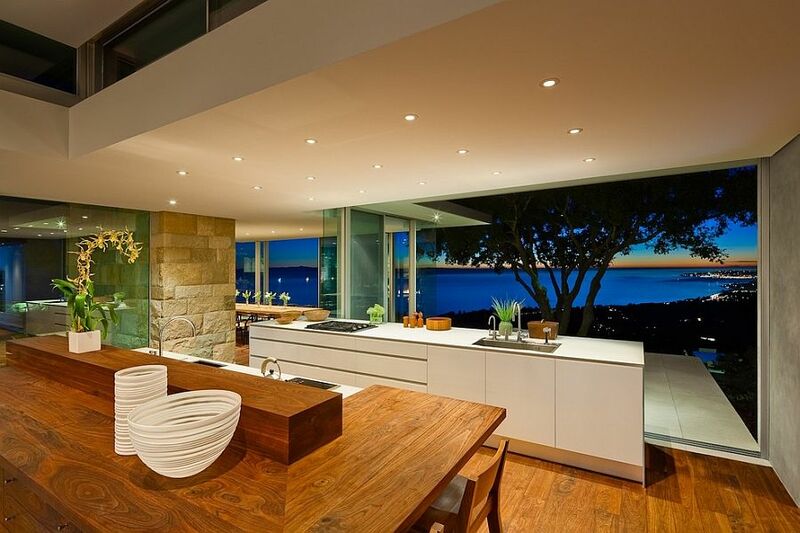 Add to this the balcony, deck or patio outside that extends this space outdoors, and it is barely a surprise that kitchens these days become the focal point of the stylish, trendy interior. 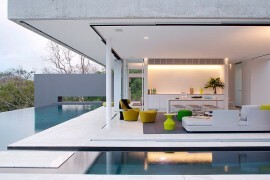 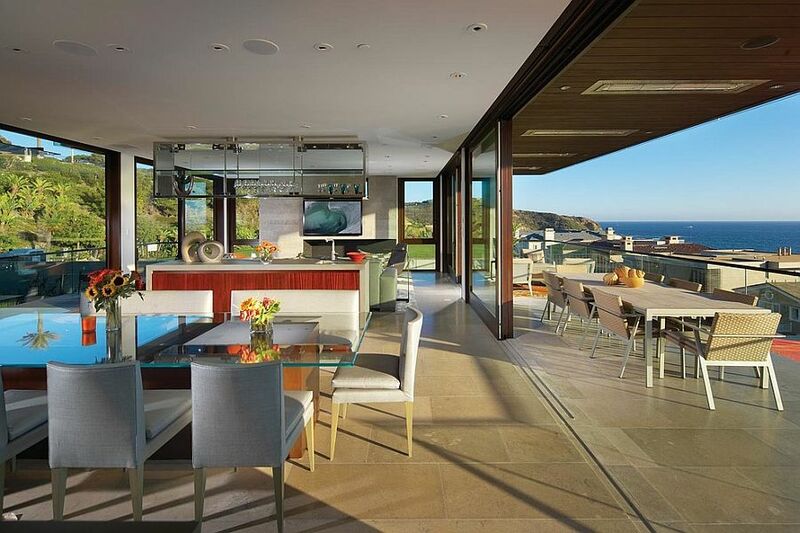 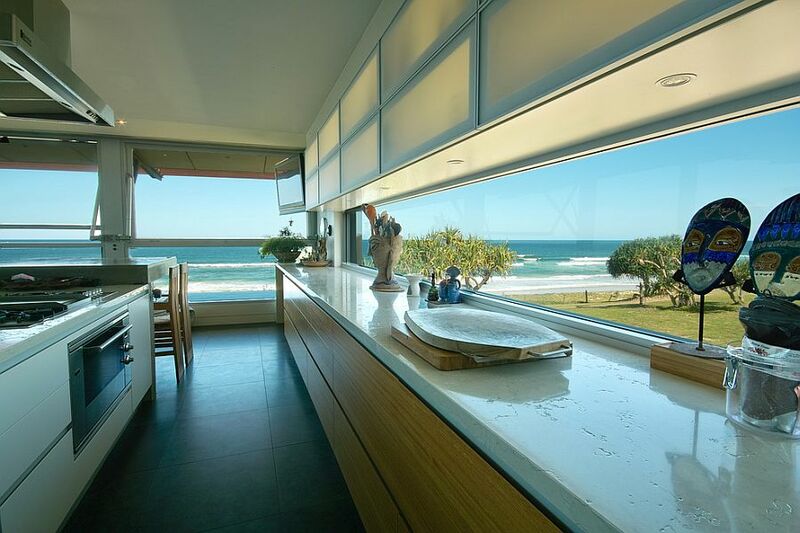 Large sliding glass doors, bi-fold doors, sweeping windows and at times an open, pavilion-style design ensure that the distant coastline or the sparkling beach just outside is visually a part of the interior. 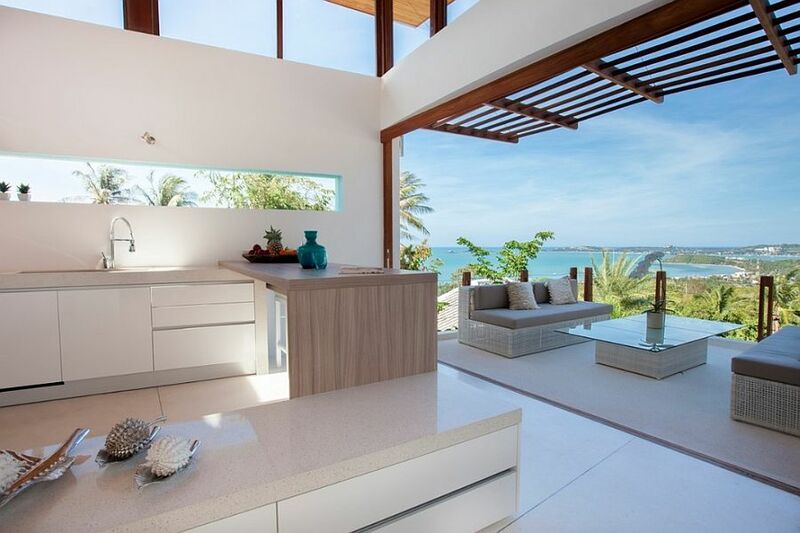 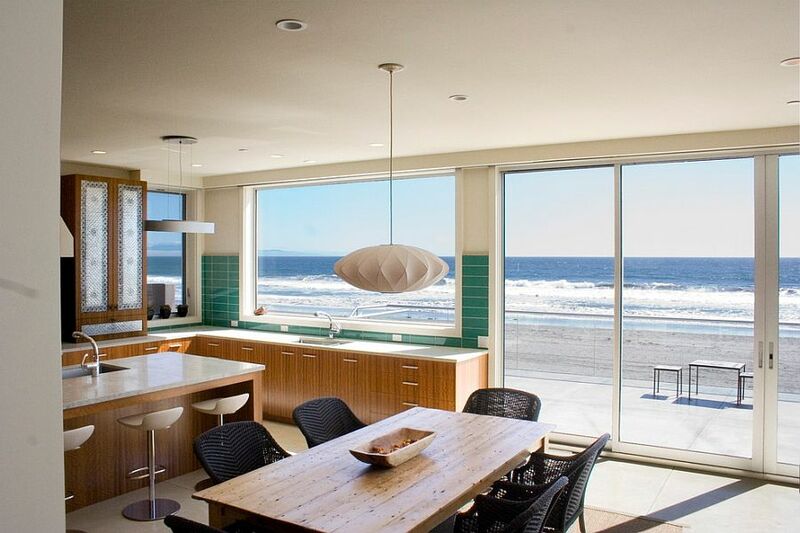 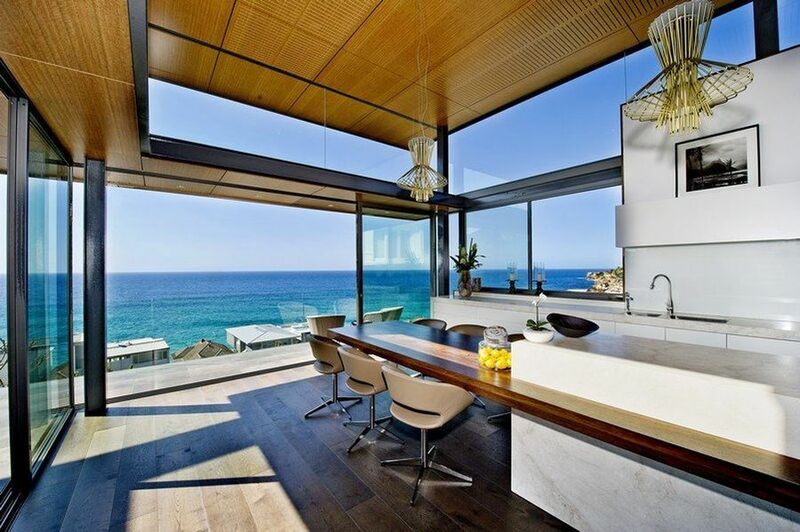 A kitchen with an ocean view need not be just relegated to homes that sit right next to the beach, as those in the distance can also make the most of their location with some smart design. 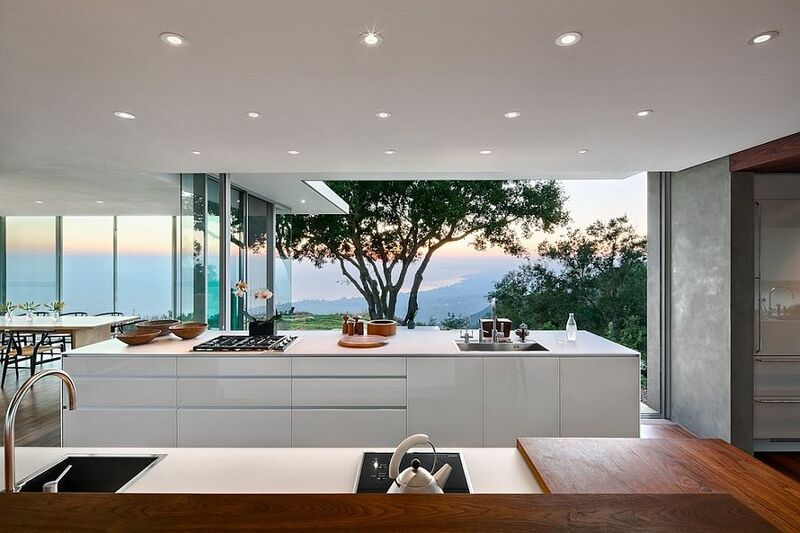 A home sitting on an elevated lot and offering a bird’s eye view of the coastline in the distance allows you to shape a kitchen that enables you to savor the scenery without letting it dominate the ambiance of the room. 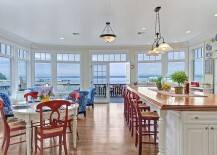 Any room with an ocean view seems like the perfect setting to try out cheerful beach style. 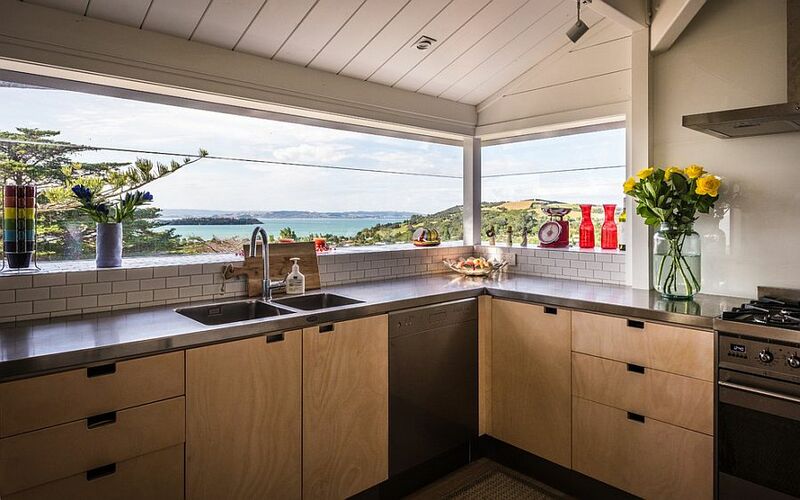 Universally popular, always on trend and easy to achieve, beach style turns that kitchen with a fascinating view into an extension of the charming outdoors. 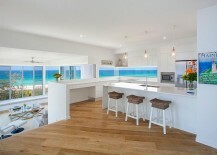 Modern beach style relies on top-notch ventilation, plenty of white and a hint blue brought in by décor and accessories. 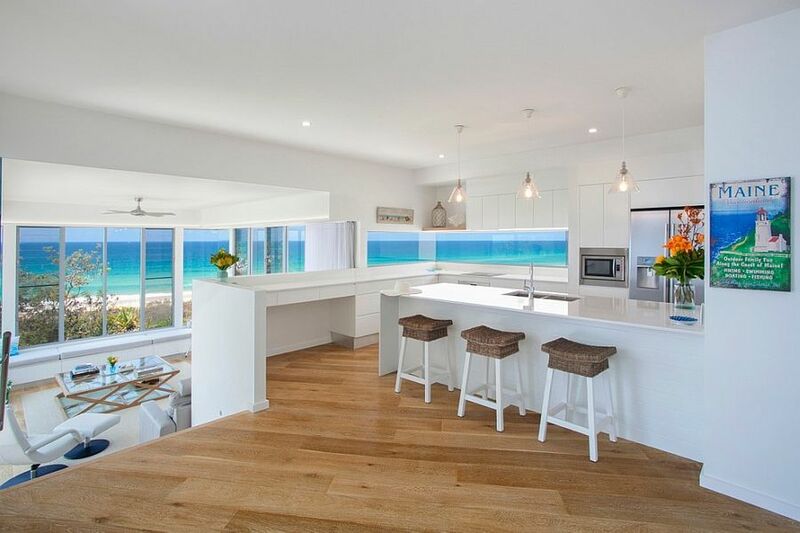 A beach-style kitchen with a spacious central island and a casual dining space next to it is the perfect way to give your home a cool, central family zone. 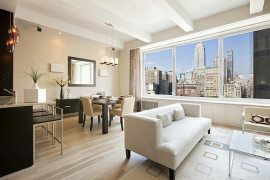 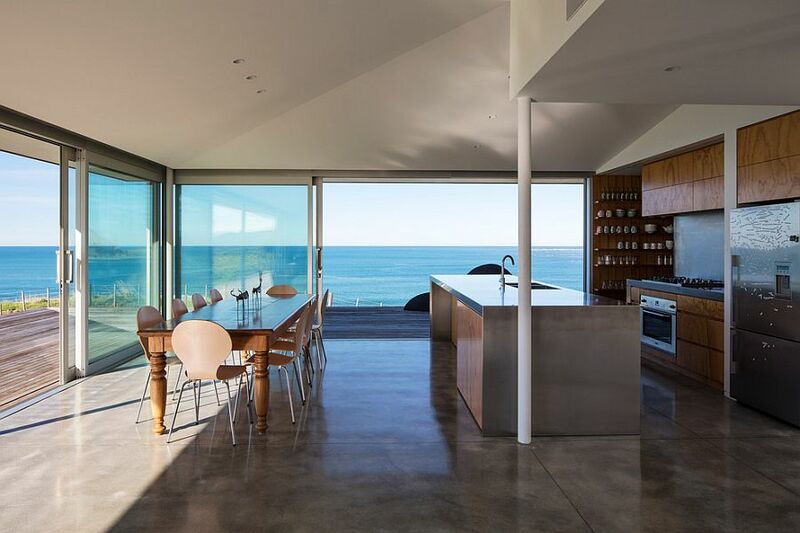 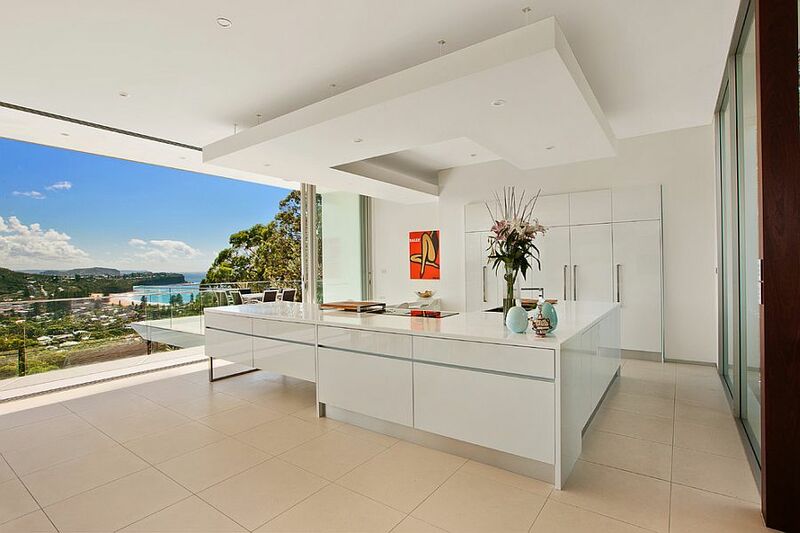 Even though the current trend points to expansive kitchens with large, glass doors and frameless windows that completely open it up to the ocean view on offer, you can always go down the classic route as well. 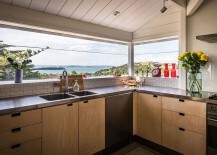 Tried and tested, this is a classic for a reason, and by simply using windows above the kitchen counter, the workstation or even the sink, you can make your life in the kitchen a lot more fun and vivacious.